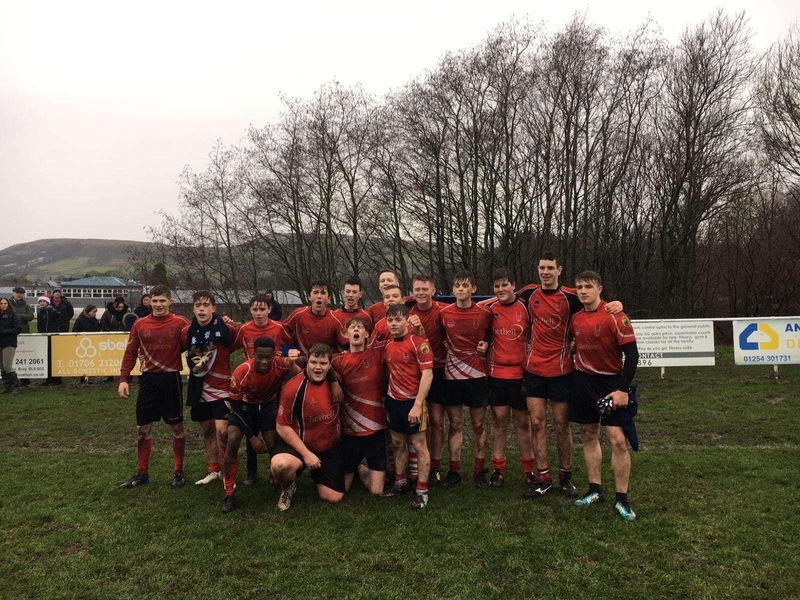 Kendal Junior U17 Colts 19 vs. 20 Bolton Junior U17 Colts - 10 February 2019 - Junior Colts (U17) - Bolton R.U.F.C. Junior Colts (U17)arrow-rightCreated with Sketch. .....am I seeing things, Colts win again!!! Bolton junior colts recorded back to back victories today against the leagues second placed team Kendal. With just 16 players, Bolton headed North knowing they would face a huge physical challenge against a big Cumbrian side who had put 50+ points on the cherry and whites earlier in the season. An early try for Kendal and some dominant defence and it looked like it would be a long day for the Bolton boys. However from the kick off Bolton gained possession and quick ball found number 8 and captain Marcus with a huge amount of space, he drew the winger releasing Harry Moxham to score. Unfortunately influential scrum half Sam Howie took a knock meaning he was unable to continue, resulting in a shuffle to the backline with Lewis Picton moving to 9. Bolton buoyed by the score started to execute the game plan moving the bigger Kendal forwards around the field creating huge gaps for the faster players to exploit and good interplay created an opportunity for Lewis Picton to put Bolton ahead. Kendal wouldn't be denied and on the stroke of half time a superb line by the home centre brought another score and with the conversion, Bolton went in trailing at half time 10-12 despite having played all of the rugby. The second half followed a similar pattern with Kendal using the power game and Bolton looking to exploit the wide open spaces at every opportunity. Monstrous tackles and ferocious breakdown play was keeping the Bolton forwards on top and providing a fantastic platform for the backs, special mention to James Harris and Luke Bagnall who were getting everywhere both in attack and defence. Lewis Warburton took a short line and quick hands took the ball out to Leon Bain Hall on the wing, Jack Philips, popped the ball to Lewis Picton to drive through for his second try to put Bolton ahead. With time starting to run out, an interception looked to gift the Kendal winger an opportunity running in from the half way line but a huge effort from Seb Donnelly to chase him down, Josh Parry in support stole the ball deep inside the 22, once again Lewis Picton spotted a gap on the blind side, ghosted past the winger and then it was a foot race which Lewis would not be denied his hat trick to put Bolton 20-12 up with 4 minutes to go. A poor kick off have Kendal possession on the half way and a bullocking run from the home number 8 took play deep into Bolton territory and a penalty was given. 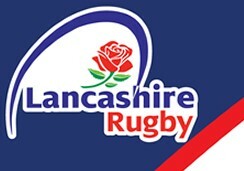 A kick to the corner and Kendal set up a mail, with a try all but certain, the Bolton forwards collapsed the mail and a penalty try was awarded. A final push by the Kendal team couldn't get through the heroic tackling of the Bolton boys and with Joe Everyone, disrupting the play, forcing a knock on the victory was secured.